The baby was in stable condition as of Wednesday. A man is accused of shooting his pregnant girlfriend in the head at their Tampa apartment on Wednesday before briefly leading police on a chase. Paramedics were able to revive Brianna Anderson, 22, in the ambulance and doctors at Tampa General Hospital delivered her baby. Anderson died late Wednesday of her injuries. "The baby is doing well," said Tampa police spokeswoman Laura McElroy. "It looks like the baby is going to make it." Anderson was in her third trimester. Jessica Stanley was on her way to the hospital to deliver her twins when she was involved in a crash Friday morning.Gastroenterology technician Betty Horne helped deliver to the one baby, while the other was born at a hospital. Police arrested her boyfriend, Jamar Anjuan Silas, 22, following a brief chase around 7:30 p.m. He was taken into custody and was being questioned late Wednesday. He's charged with being a felon in possession of a firearm, but authorities say more charges are forthcoming. 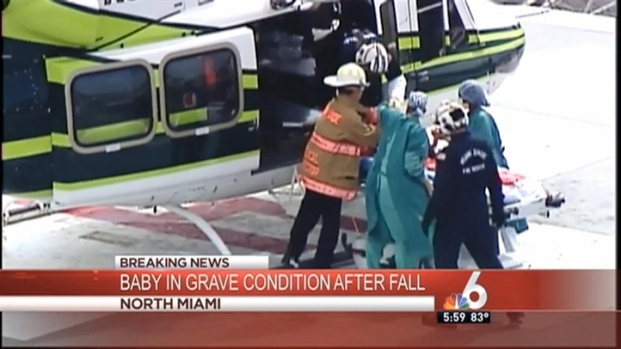 A baby boy was taken by air to Jackson Memorial Hospital’s Ryder Trauma Center in grave condition after he fell in his home in North Miami, police said. North Miami Police spokesman Major Neal Cuevas discussed the case. The shooting was first reported about 3:55 p.m. McElroy says Anderson was shot one time. Sharaun Day, who manages the North Boulevard Homes apartments, told the Tampa Tribune that Anderson was a happy person. "Every time she came to the office, she was happy, jovial," she said. Day said Anderson was 8 or 8 ½ months pregnant and also had a 2-year-old boy. 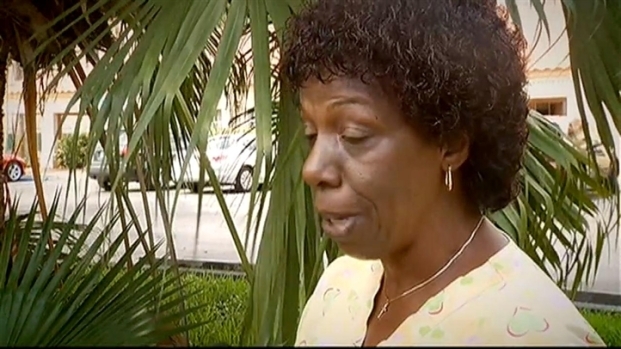 Anderson's friend and neighbor Dede Williams said she never complained about being threatened. She lived in the apartment with her toddler son. Authorities have not released a motive for the shooting. Tampa media outlets report the woman's baby was delivered by cesarean section and was in stable condition late Wednesday.